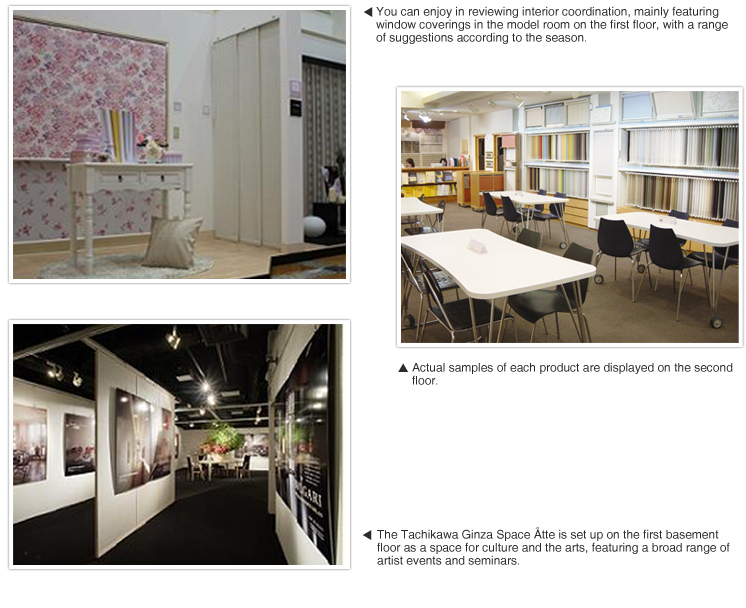 SHOWROOM　TACHIKAWA CORPORATION / TACHIKAWA TRADING CO., LTD. Numerous samples of actual products of blinds, fablic products, partitions are on display at the showroom. 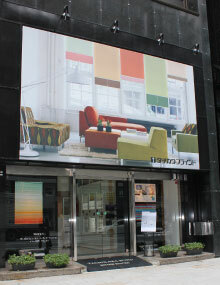 The Tachikawa Corporation Ginza Showroom is located in Ginza, the city of fashion and art.